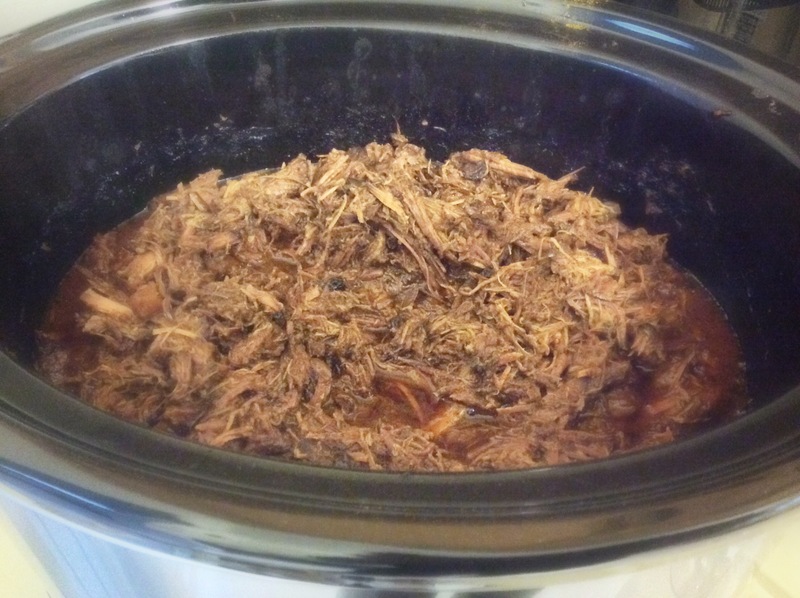 slow cooked paleo | Taste That! Beef Shank, I like it. definitely suited for the Crock Pot. It’s a relatively cheap cut, and is basically a hunk of leg, cross-cut, so you get a marrow bone in the middle. Mine was 2 pounds, and the meal fed 3 people. I think it came out really good, and I’ll definitely make it again. Now, I must confess, that I am fighting a cold….so my sense of taste is severely dulled, and my sense of smell is non-existent. This makes judging the outcome of a meal totally impossible, as I couldn’t taste the full flavor and forget about subtle notes. According to my boyfriend, it was very “beefy”, earthy and meaty tasting, which I love, but my boyfriend isn’t always a fan of. The marrow bone, and fat from the shank definitely provide a richness, so if you are a fan of that, you should like working with cross-cut shank. He tells me today that he’s not really a fan of beef as a flavor, He likes more heavily spiced and marinated dishes that mask the beefy flavor. Maybe next time I’ll try it with chicken and get his reaction then. His brother was over, and loved it. Normally the reaction I get from him is “All you guys have is strange hippy food” or “This is pretty good for hippy food”. It’s so funny to me because I’m just eating real food….real vegetables, real meats. So hippy food just means – different from the Standard American Diet of soda and convenience…He’s 17, it’s ok. He licked the bowl clean and in a funny voice went “Moooaaaarrrrr!” and proceeded to seconds…..I’m going to go by his judgement on this one. I’ll make it again when I get my senses back…. Chop vegetables and put carrots, onion, and some of the turnip and celery on bottom. Brown meat, and place in crock pot. Season, and add in the remaining vegetables, mushrooms, garlic, and liquids. Cook on low. for 10 hours. Don’t forget to eat (or mix into the stew/soup) the lovely marrow from the bone. When it’s done you should be able to easily shred the meat with a fork.